When it comes to paper towels and toilet paper you will find that there is a tremendous amount of brand loyalty coming from consumers. Whether they are using the brands that their parents used or their own personal choices, getting them to switch over and try another brand can be quite difficult. I remember the big problem in our house when I was asked to switch from Scott toilet tissue to a softer brand. I fought the new change for several weeks until finally relenting. Now I couldn’t be happier with the new TP that we are using. Sometimes people just need an incentive to give another product a try. That is why the people at Viva® Vantage® are challenging consumers to a 7-day switch up. 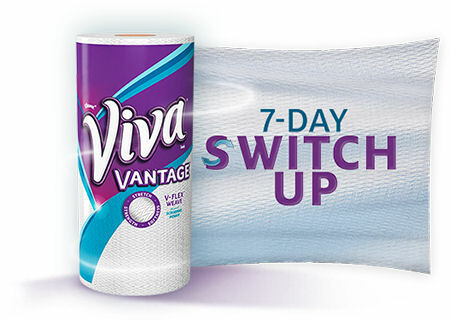 They are asking consumers to give their Viva® Vantage® paper towels a chance and try them for 7 days to see how it compares to the brand they are currently using. Follow this link -> Viva® Vantage® 7-Day Switch Up and it will take you to their 7-day switch up web page. There you can enter for your chance to win a $100 gift card! There is also a link for a $1.00 off coupon that can be used towards the purchase of Viva® Vantage® paper towels. The people at Viva® Brand are hoping that once you give their paper towels a try you will want to stay with them. I personally have decided to take them up on their offer. Last week I switched out my regular brand with Viva® Vantage® paper towels. It has only been a couple of days and I have to say we are all pretty happy with Viva® Towels. The texture of the surface is different than what we are used to as well as the feel. The Viva® Brand paper towels seem to be a little bit softer but the texture of the cloth gives it superior scrubbing power. For example I cooked homemade French toast yesterday and ended up with dried egg splatter all over the stovetop. I wet the Viva® Brand paper towel with some warm soapy water and went to work on the dried up eggs. To my surprise the texture of the Viva® Brand paper towel acted like a scouring pad and cleaned up the eggs with ease. This made me happy since I didn’t have to take out the actual scouring pad to clean up the mess. So after only a couple of days into the 7-day switch up I am pretty happy with the way Viva® Towels are performing. If you don’t use them already check out the link today and give Viva® Vantage® a shot. Hey you never know you may find your new favorite paper towel brand. 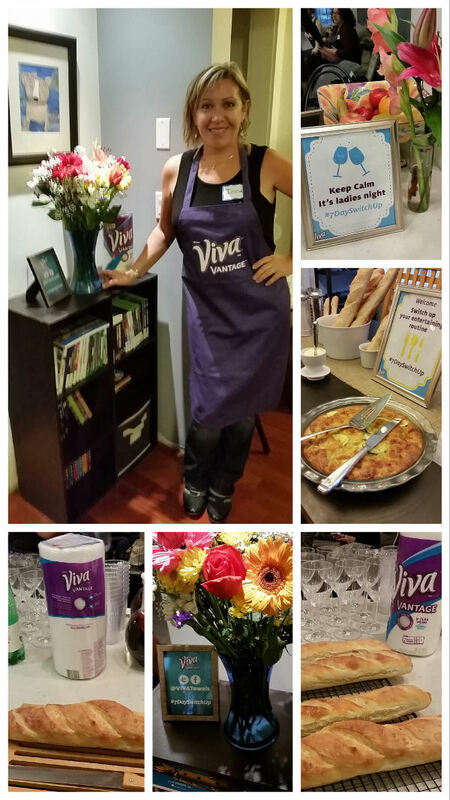 Last week I attended the live Viva® Vantage® party along with a small group of bloggers at Amy’s beautiful brownstone in Brooklyn! Amy made some great Sangria for the party, the delicious zucchini quiche and other tatsy appetizers. 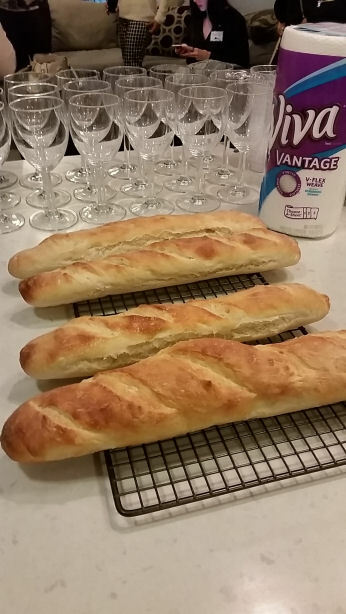 Oh, her home made baguettes were from out of this world! 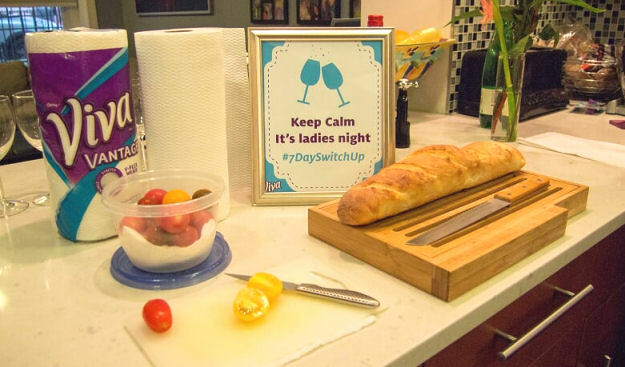 Check out these awesome paper towel tips I learned from our 7-Day Switch up party! 1. 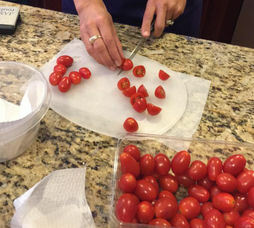 Place a damp Viva® Vantage® paper towel under your cutting board to prevent it from slipping when slicing and dicing your fruits and veggies. 2. Use Viva® Vantage® to wash and dry wine glasses leaving a residue and lint-free shiny finish! 3. Use a damp paper towel to chill white wine quickly when you’re stuck with a warm bottle! 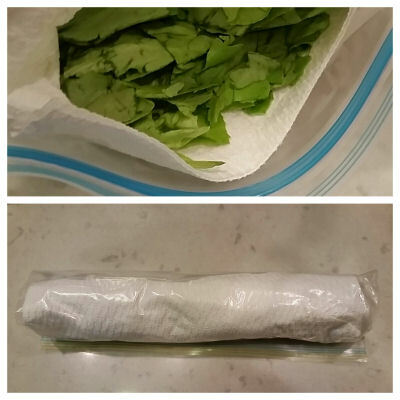 Just wrap the bottle in a damp paper towel and plop it in the freezer for a few minutes! 4. Use the stretchy-strength Viva® Vantage® to strain fruits and veggies under the faucet! Who needs a colander? 6. Replace the need for vegetable scrubber by using the great scrubbing power of Viva® Vantage® paper towel to properly clean mushrooms, potatoes, etc. Want to try your own 7-Day Switch Up? Head to Viva® Vantage® 7-Day Switch Up to get a coupon. Once you’ve experienced the great scrubbing power of Viva® Vantage®, you can go back to the website and enter for a chance to win a 1 of 1000 gift cards from Williams-Sonoma, Amazon or Starbucks! Instant win sweepstakes end on December 31, 2015. Good luck! Disclosure: This is a sponsored post written by me on behalf of Viva® Vantage®. Regardless I only share the product I love and use in my own house. I really like Viva Vantage.It is what I always buy.Nice review! I’ve done this! Love this tip! Currently, my family uses the Safeway brand. It is reasonably-priced on sale, and works well. Viva is my favorite paper towel! It’s the only one I like to use. I LOVE Viva! I will always pick it over other brands. I’ve never tried to put one under my cutting board, but will definitely do that from now on….thank you so much for the awesome tips! Any kind of change is difficult, but sometimes making a change can lead to good things! I’ll have to give Viva the 7 day switch to try it out. Great tips! The cutting board tip was taught to me by David Rosengarten who I worked with at the Food Network in the mid 90’s! It works! Viva Vantage in my opinion are really some of the best paper towels out there. I know I can always count on them to get the job done!! I just usually use whatever brand is cheapest! I really like Viva Paper Towels and the new Viva Vantage sound even better. Wish they sold them at Costco! I love Viva! Great and affordable brand! I have used Viva in the past but with the cost of things today I have to use regular washable towels! I like Viva but I currently use the store brand. I love Viva , best made .They make great breast pads. Viva vantage is my first choice for paper towels! They are requested for home birthing too! Super soft and mega strong! I haven’t tried Viva, but I think I too am going to take them up on their offer. I know sometimes it’s hard finding a product that’s just the right amount of softness and strength without breaking the bank. I’m eager to try Viva! 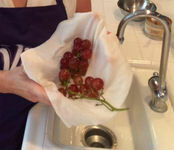 My granddaughter did an experiment at school that proved Viva was the strongest and most absorbent paper towel. Now it is all I use! I have always loved VIVa and use them all the time! Thanks for the review and the additional tips.